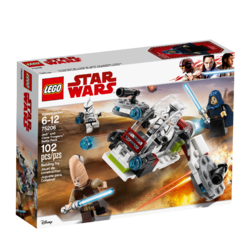 75206 Jedi and Clone Troopers Battle Pack is a Star Wars battle pack set released in 2018. 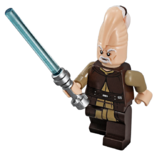 Take on the Separatists with the Jedi and Clone Troopers! Speeder measures over 1” (5cm) high, 3” (10cm) long and 4” (12cm) wide. 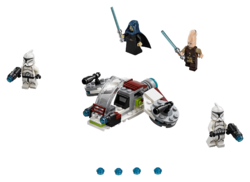 Facts about "75206 Jedi and Clone Troopers Battle Pack"